The Law Quad is a neo-Gothic complex consisting of four buildings: The Lawyers Club, Cook Dormitory, Legal Research Library and Hutchins Hall, designed by the firm of York and Sawyer in the 1930s. As these buildings of different elevations were added to the Quadrangle, linkages between them became convoluted and confusing, and the site more constrained. 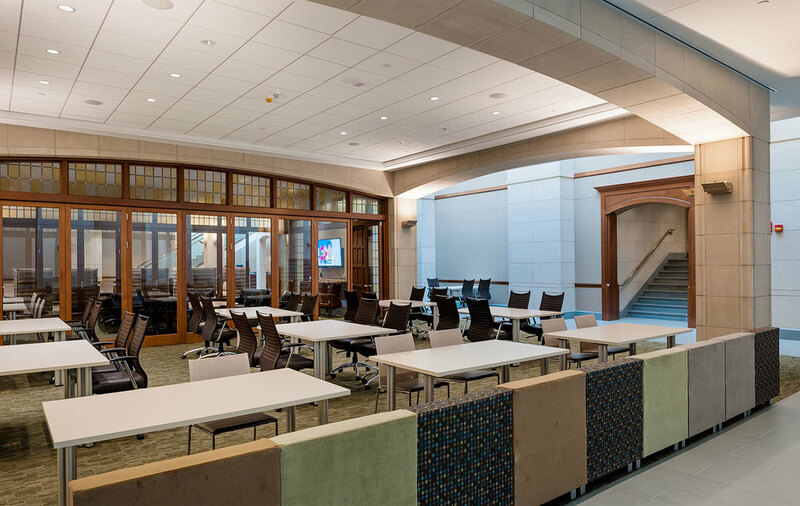 Most importantly, there was no central gathering place for students to meet and connect. The Commons is a new two story, 25,000 square foot infill addition and gathering place. The original courtyard has become the new heart of the Law School. 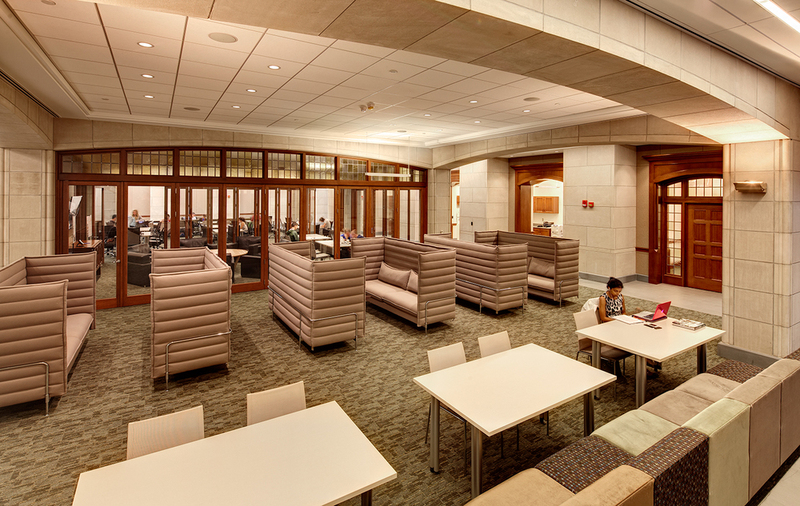 A place that naturally encourages social and intellectual interaction among students and faculty, the Commons provides accessible connections between the Law School buildings that did not previously exist. The scope also included re-orientation of the connector bridge to join two of the historic halls and recladding of the 1950's Stacks Building to be in character of the other structures.